A toast to John McCutcheon, AKA "A Thoroughly thuggish old man," who we honor with the name of this forum. 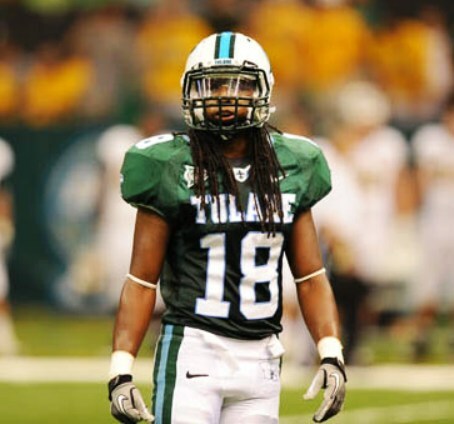 I know he is cheering for Tulane tonight!!! I'm watching with about a 2 minute delay, with Graf synced to the picture. Wake Forest board game thread: https://www.ogboards.com/forums/showthread.php/30266-GAMEDAY!!!! Encalade should have had 6. Last edited by TUPF on Thu Aug 30, 2018 7:11 pm, edited 1 time in total. are they in melt-down yet? Poor execution on the opening drive, dropped TD pass, broken play, bad throws. Disappointing. Anybody still holding a question mark for our D? So far we are moving the ball and are a dropped pass away from the lead. We have their freshman QB rattled. Calmate grasshoppa. Last edited by TUPF on Thu Aug 30, 2018 7:18 pm, edited 1 time in total. WF starting tight end ejected for targeting. Two drives with excellent field position = Zero points. Great special teams. Downed inside 5. Jeffrey Johnson is having a game. Their left tackle out. Minimal contact knee. Their LT, who's been getting away with early movement, is now limping off with help.